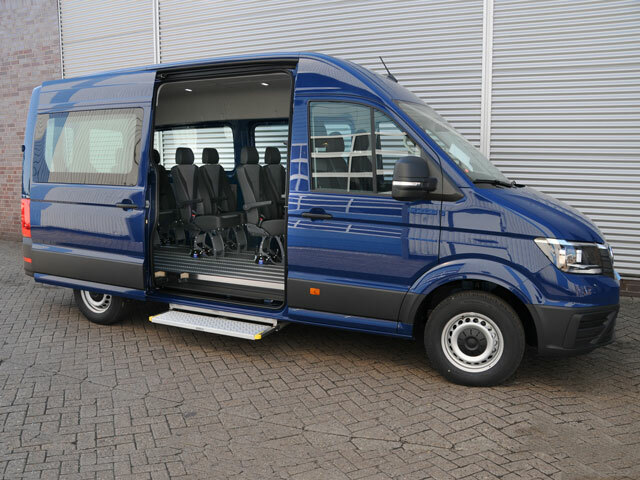 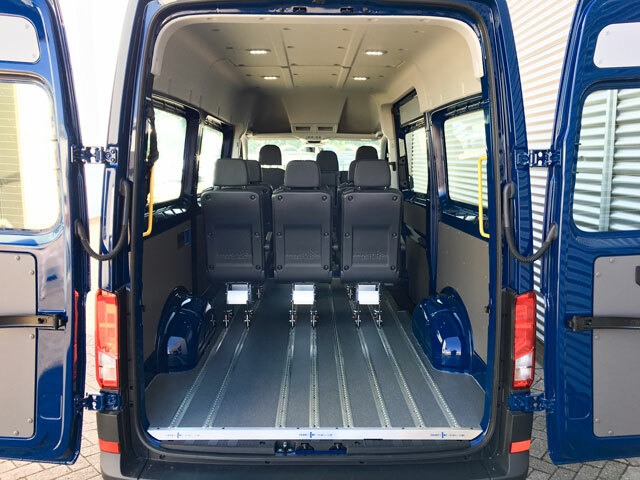 The Volkswagen Crafter 9-seater is equipped with a Smartfloor aluminium floor – making it possible to fit up to seven extra single seats in the passenger compartment. 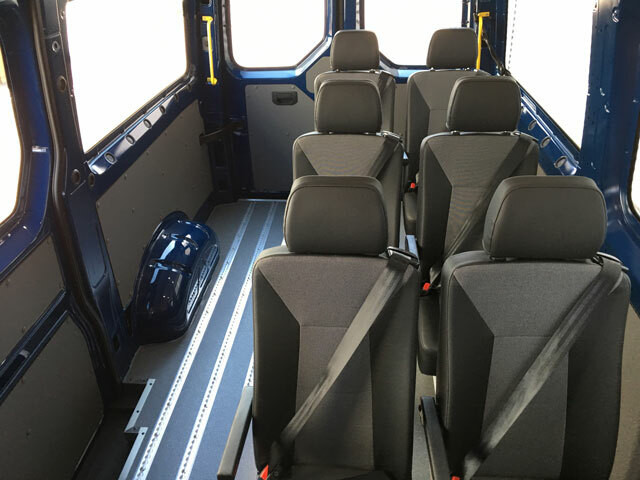 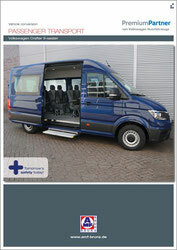 The seats can be arranged quickly and as needed, allowing flexible use of the passenger compartment. 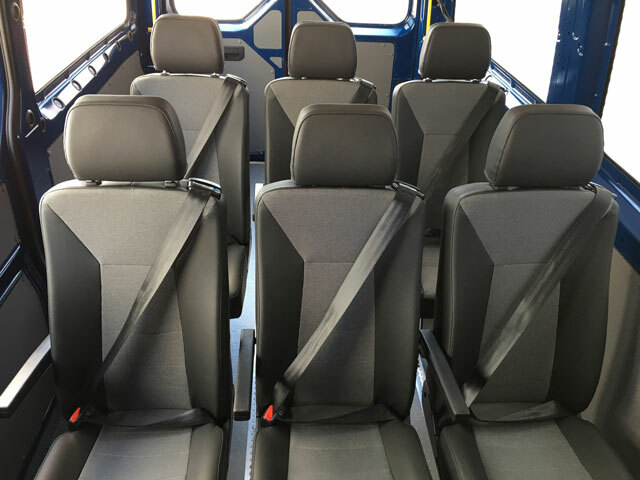 The seats also have an integrated seat belt and armrest, providing both safety and comfort. 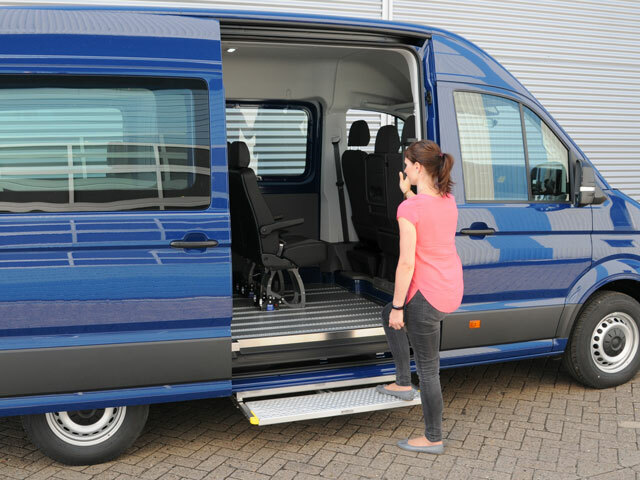 Side access is made convenient by the electrical step and grab handles.